Scheer organizes a series of 3 Webinars to inform companies that currently use SAP ECC – and in particular SAP All-in-One – about the possibilities to migrate to SAP Cloud ERP. These Webinars provide a clear insight into the possibilities of each of SAP Cloud ERP applications and the necessary steps towards Cloud ERP. Register for these Webinars can be done here. This Blog is an elaboration of the 1st webinar of December 14, 2017. Why do companies are moving to SAP Cloud ERP? What are the immediate benefits of SAP Cloud ERP? Which SAP Cloud ERP products are suitable successor to SAP ECC or All-in-One? What do you get when you choose SAP Business ByDesign? 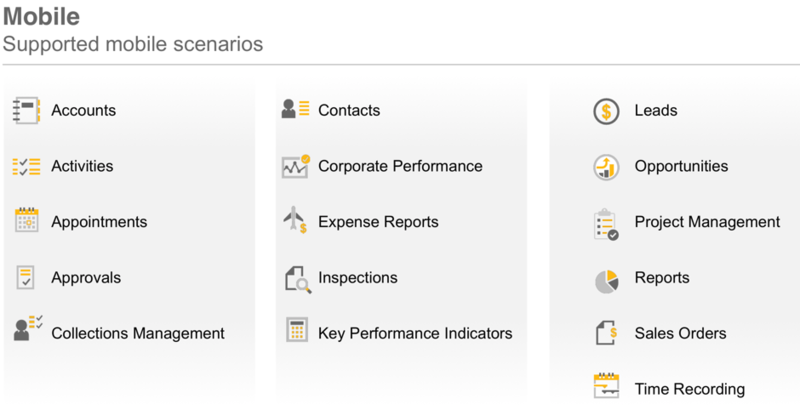 What are the performance capabilities of SAP Business ByDesign? What includes SAP Business ByDesign beside functionality? Is SAP Business ByDesign improving the collaboration between departments? Is it possible to deploy SAP Business ByDesign for an International playfield? 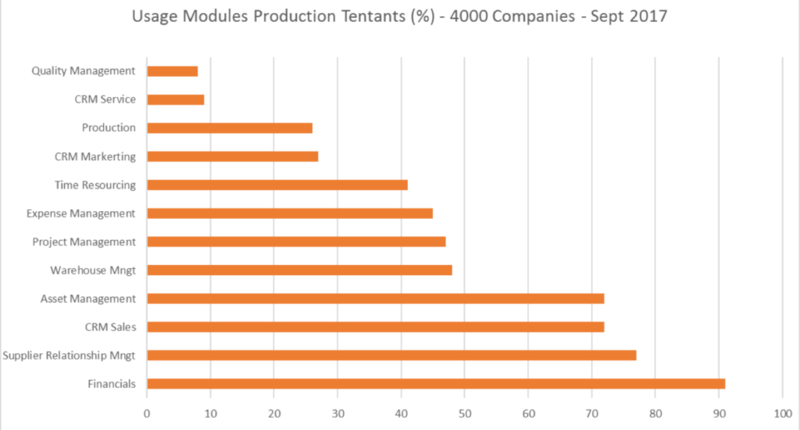 Does SAP Business ByDesign support organizations with more tan 1000 Users? How is the pricing model of SAP Business ByDesign constructed? Switching to Cloud ERP is a strategic decision. It raises the question of what SAP Cloud ERP application can best deployed moving forward to fulfil business requirements. An important reason for choosing Cloud ERP is the simplicity of Software as a Service (SaaS). The SAP SaaS Cloud ERP covers the infrastructure, the platform and the software. Market circumstances are demanding an environment in which digitization and innovation will be key and central. These required innovations should then be able to be realized without complex and long running IT projects. Current reporting and analysis options are limited. Excel wins easily, creating a forest of Excel sheets is used for decisions. In this way, there is not a single version of the truth contained. What are the immediate benefits of Cloud ERP? From a technology perspective it becomes very easy to provide ERP functionality via the cloud. The only thing that actually needs to be regulated is a stable and fast internet connection. SAP Cloud has the advantage of being compatible with most Android and iOS mobile devices and can be used via special apps. SAP ERP Cloud comes with over 30 years experience in the definition and execution of Industry Best Practices. Companies will benefit directly to leverage from these Business Standards to support their “Happy Flow”. Custom projects and future maintenance of these lapses. Because Cloud ERP also provides the platform and infrastructure, future changes in usage can be affected immediately. Additional users at the current location, but also a new office in another location or another country, can be arranged. SAP Cloud ERP is designed to communicate with other applications. These can be applications from the SAP Eco-system, such as Ariba, Fieldglass, Concur, Hybris, but may include such things as the Internet of Things, Blockchain and other integrations can be realized via the SAP Cloud Platform. SAP provides the highest security level expected of a global SaaS provider, so companies are fully compliant in this area. With the deployment of Cloud ERP also void a major concern regarding internal security and continuity with respect to the hardware and infrastructure. SAP has opted since 2016 for a Cloud First Strategy . This implies that functional enhancements will initial being added to the Cloud version. The SAP Cloud ERP versions do have an update and release cycle of a quarter. On-Premise version do have a release cycle of a once a year. Companies will have a completely predictable insight at the time when new or modified functionality will be available. SAP has been active since 2002 with Cloud ERP solutions. In 2002, SAP launched Business One for small organizations with 2 to 50 users. In 2007 it added the SAP Business ByDesign ERP suite. This solution is designed for mid-sized organizations with 20 users or more. In 2015 SAP announced S/4HANA Cloud for large organizations with 1,500 users or more. Scheer is focussing on SAP Business ByDesign and S/4HANA Cloud, because these two applications are both serious candidates for medium and large organizations in the B2B market. What is the difference between SAP Business ByDesign and SAP S/4HANA Cloud? In order to make a strategic choose fro Cloud ERP, it is important to knowS what the difference is between these solutions. SAP S/4HANA Cloud is seen as a logical successor for SAP ECC or SAP All-in-One environments. However, we are convinced that in certain circumstances SAP Business ByDesign can be a better candidate. SAP Business ByDesign is a so-called “Integrated Suite” features besides the ERP functionality for CRM, Finance, HR, Project Management and SRM functions. SAP S/4HANA Cloud includes functionality relating to Finance, Sourcing and Procurement, Sales, Professional Services and Manufacturing. Narrower but possibly deeper on certain business concepts. In terms of scalability, both applications have been proven to support large companies with more than 20,000 users. The choice of one of these applications will be more on the basis of the required functionality, then according to the technical characteristics. SAP HANA, the in-memory database system is used by SAP Business ByDesign and S/4HANA Cloud . This in-memory database system ensures that all data is complete real time available for transactions, analysis and making predictions. This not only ensures rapid processing, but also for a totally integrated processing and eventually to one version of the truth. Both applications make use of the SAP Fiori HTML5 intuitive user interface. This application can be used by all browsers and also on mobile devices. Both applications are open and can be integrated with other applications. There is a seamless integration with the SAP ECO-System, with applications such as Ariba, Concur, Fieldglass, SuccessFactors and SAP Cloud Platform. Both applications are supporting larger and more complex business structures to deal with in different countries including localizations, multiple languages and to handle different currencies and Accounting Principles (US GAAP, IFRS). Even multiple Tenants is an option. Both applications can be used as dedicated solution to support external Offices and/or Subsidiaries. This Two-tier ERP approach does the central ERP system not to be modified for use in offices. This Two-tier ERP approach can be used for SAP ECC but also with SAP S/4HANA On-Premise in a hybrid environment. 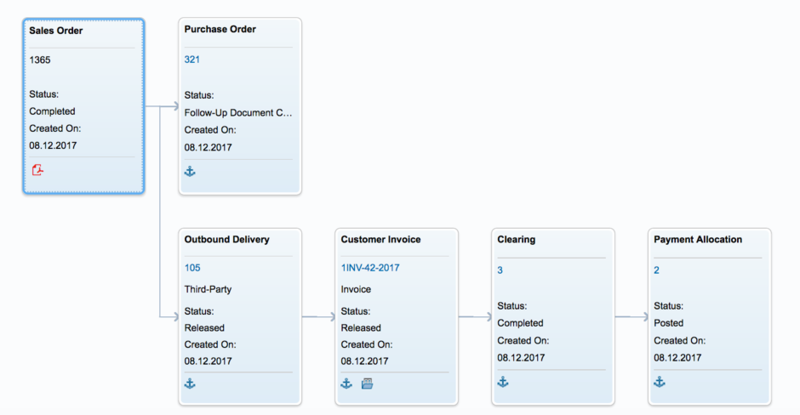 When you purchase SAP Business ByDesign you have from the first day direct access to two so-called tenants: a production and a test tenant. Internally, it is only necessary to provide Desktops or Tablets/Smartphones which are connected to the Internet, to start using the Cloud ERP solution. The production system is made ready during the initial implementation phase. Then the production is copied to the test system, so that the test system can be used for developing new functionalities and the testing of future updates. From the quarterly updates, the latest version will first be installed on the test system, then it will be activated after approval of the production system. SAP Business ByDesign provides a context-based E-Learning environment that allows users themselves to understand the tasks they have to perform. By this context driven approach, the user is getting immediate assistance offered related to the functionality that is used. 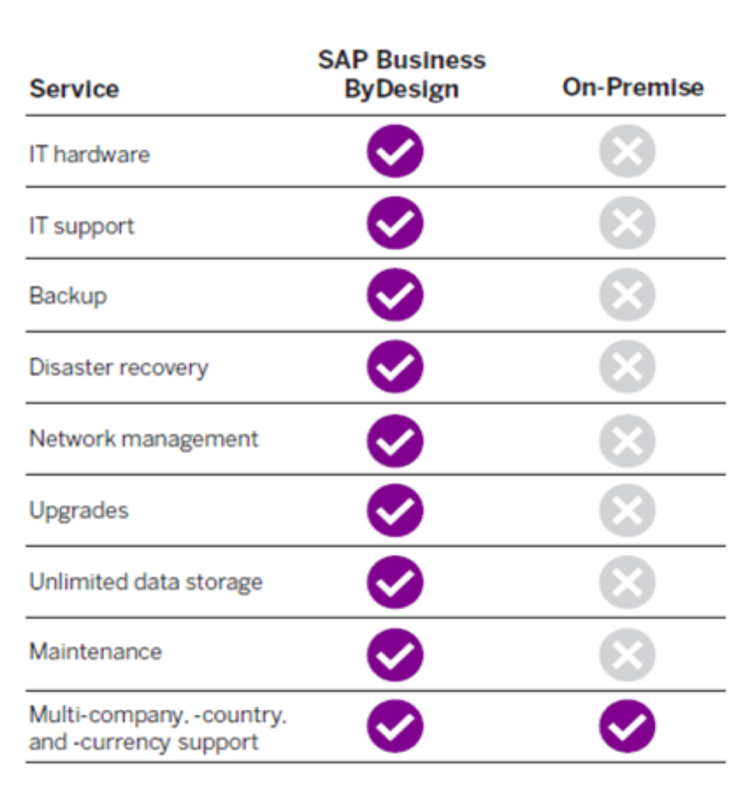 When choosing SAP Business ByDesign there is no concern for the more pure IT issues related to infrastructure, platform capacity, backup and recovery. This is carried out entirely by SAP. What are the benefits of SAP Business ByDesign? Besides functionality, which primarily will be discussed in the demo, it’s good to share the benefits of SAP Business ByDesign. The following facts were compiled by SAP based on an analysis from the production. The graph below shows how the different functions “within SAP Business ByDesign are being used by the active production environments. Strong functionality in the areas of Project Management and full integration with CRM, Sales, Finance and Procurement. Perfect solution for Professional and Technical Services. Whole ERP functionality including MRP and MES integration. This Demand Planning and Shop Floor Control can be supported environments for Discrete Manufacturing. Whole ERP functionality to support Sell from Stock, Procure to Pay and Make to Stock for Wholesale and Distribution. Integration with SAP and SAP S/4HANA convert to Two-Tier ERP for establishments. What includes SAP Business ByDesign beside the functionality? The power of SAP Business ByDesign is the ability to easily align the standard functionality to the needs of the company, specific roles or even individual users. This is what the “ByDesign” part of the application name stands for. However, this is done entirely through configuration settings, with no single line of code and this is not creating a complex environment. Even stronger, the application is monitoring the correctness and consistency for each single change that is the made to the settings. The possible solutions are structured as a hierarchy of scoping elements: Business Areas contain Business Packages that are constructed from Business Topics. The Best Practice is compiled based upon the selected country and type of business. This generated proposal could then be adjusted to requirements. The result is a Solution Blueprint, which is fully documented and saved with the system as a project. SAP Business ByDesign is strong in role-based approach, whereby things are always shown in the context of the user: My Projects, My Accounts, My Orders, My Dashboard KPIs. In addition, the user has the opportunity to further personalize matters relating to screen and report layouts and names of labels. SAP Business ByDesign has called Key-user tools to create or add additional documentation, e-learning facilities, custom forms, interactive forms and reports. The more sophisticated extensions can be realized via the SAP Cloud Application Studio, like Mash-Ups, additional business objects and mobile features. SAP Business ByDesign has a strong portfolio of mobiele apps that can be used for Management, Sales and Project Management roles. Below a picture of supported areas via Mobile Apps. The strength of SAP Business ByDesign is the integrated design. Where SAP ECC users have to deal with different modules that work together, within SAP Business ByDesign all modules are incorporated into one application. So there is only one customer base, there is one Ledger and there is one version of the truth. From every transaction, the user’s can trace the of the origin, who did what and which steps have to be performed in the workflow. Everyone can see the details from his own discipline. By this methode of working, Sales, Logistics and Finance do have straight insight into what really matters to them. For each transactions it is possible to get a clear overview of the involved parties. These Views do have the capability to drill down to the underlying details. Is it possible to deploy SAP Business ByDesign for an International playing field? SAP has grown with the support of companies operating in different countries. 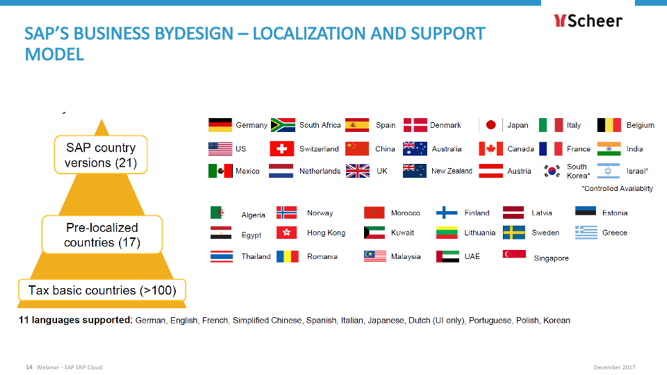 SAP Business ByDesign is also made to be used internationally. During the organizational configuration of SAP Business ByDesign it is important to know if the company’s needs a legal unit in a particular country, or only do business with that country. See below the countries in which locales are made already. There is also a Localization blueprint for countries that fail to meet the appropriate tax and other regulations. Does SAP Business ByDesign supporting organizations with more tan 1000 Users? SAP Business ByDesign is positioned by SAP as ERP solution for small and medium-sized enterprises. However, the application can be used from 20 users on. Within the Netherlands, Post NL and Stork proof that SAP Business ByDesign can be perfectly used for large organizations with hundreds of users. Post NL was using SAP ECC to support their financial records. Although S/4HANA would do a logical successor, is still chose to deploy SAP Business ByDesign as Digital Core. SAP committed to Post NL to ensure that the processing of daily 550.00 mail objects could be achieved. Each Mail Object is processed like as a billing item. Post NL is using SAP Business ByDesign as their Digital Core to support the procurement and financial administration. Subsequently, Post NL chosen for integration with SAP Hybris Billing for billing, SAP Concur for processing expenses (Expense Management) and SAP SuccessFactors to support HRM. In addition, Office365 and Salesforce (CRM) are connected. A broad solution based on SAP Cloud and Third Party solutions. Read the article of the Computable about the Post NL Cloud Strategy. Stork is also a SAP ECC house. 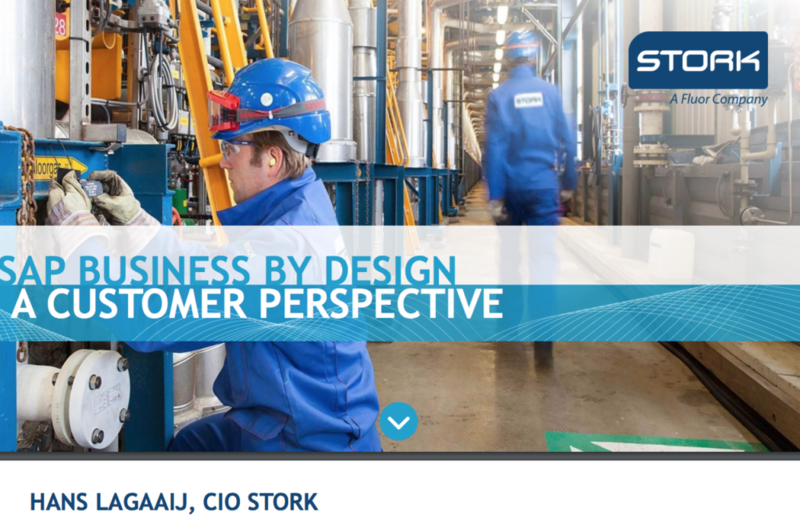 But for the support of Stork Technical Services they chose SAP Business ByDesign. The country organizations were running with various own-build solutions and mainly focused on the Financial Accounting part. The challenge was to establish a uniform Best Practice with a centralized approach of End-to-end Business Processes, Reporting, and Master Data. Stork is using SAP Business ByDesign on the basis of a single tenant to support the various countries. The application is used for CRM, Sales, Project Management, Finance and Controlling. Read our reference case regarding the implementation of Stork Australia. Choosing SAP Business ByDesign implies that no upfront investments have to be done. No initial spending, which will be on the balance sheet (CAPEX), but in return there is a monthly fixed costs (OPEX). This subscription fee applies to the necessary infrastructure, platform, software, support, updates and future innovations. Also this price includes a testing environment, which can be used for testing, training and other issues. Typical Enterprise Users are planners, accountants and sales employees. They have a rich variety of core functionality, including CRM, purchasing and sourcing, Financial Management, HR functions and more. The Enterprise User Supply Chain Management gets additional functionality related to inventory, supply chain planning and production. Team Users – mostly Sales -are using the core of Customer Relationship Management (CRM) processes, from campaign management to handling opportunities. The Self-Service Users can perform tasks such as hours and expense registration, purchase and travel requests. We would like to give you the opportunity to discuss the possibilities for your organization during an exploratory meeting.